Cleanliness which preserves values – a Swiss success story. 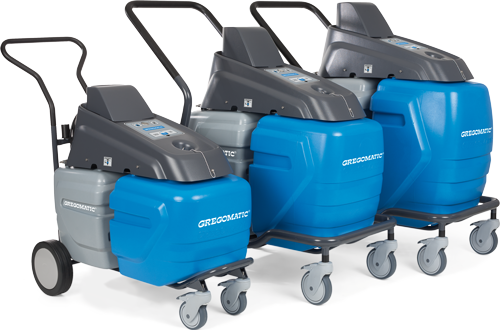 The Gregomatic Vacuum-Washing System is much more than a machine that does not clean, but washes; it is a concept that focuses on sustainability in every regard. It is an energy and water saving machine that is able to deeply cleanse structures and simultaneously remove soiled water while preserving the surface itself as well as the environment. A smart yet simple system: its user friendliness, versatility and sustainability are compelling. 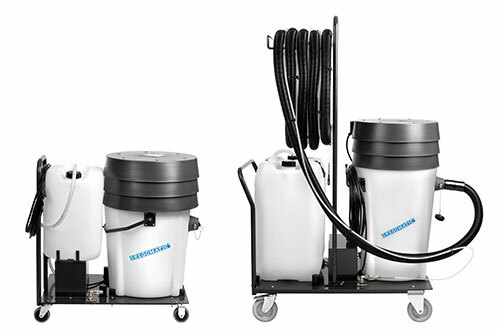 The unique Vacuum-Washing System comes into play where traditional cleaning systems reach their limits. In a structure deep, gentle and eco-friendly way, it cleans nearly each and every kind of surface. Water sprayed on and vacuum-swirled serves to bind and wash the pollution out of most kind of surfaces. Because the dirty water is sucked at the same time, hardly any residual moisture remains. In addition, the closed circuit guarantees with separated clean and dirty water tanks, the proper disposal of contaminated waste water. Sensitive, water-resistant, finely structured surfaces are hardly loaded mechanically by gentle Vacuum-Washing Process. Vacuum–Washing Aggregates of different sizes allow even capturing angles and corners.